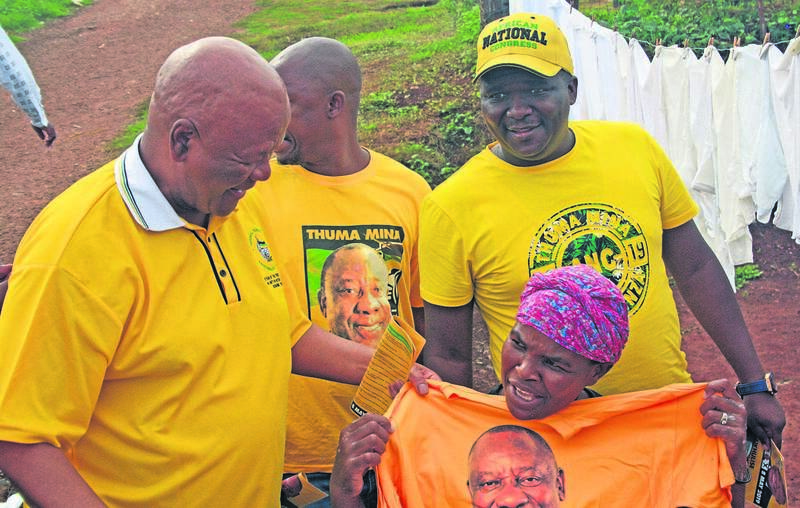 ANC heavyweight Energy Minister Jeff Radebe described the level of service delivery in Msunduzi as “shocking” yon Monday while he was on the campaign trail in Pietermaritzburg. “There is definitely something terribly wrong. In the community of Tamboville, which I visited today [Monday], the service delivery is not good at all — there are pools of water everywhere. “Even when you drive through the CBD there is filth all over the place — there is something very wrong in the municipality and after the May 8 elections we will have to sit down and fix the problems,” he said. The municipality is on the point of being placed under administration for being unable to run the city properly. A para is a township slang term for drug addicts who steal from the community to feed their habit. Other Tamboville residents told Radebe about the indignity of using pit toilets, unemployment and grinding poverty. “We are a big family and yet there isn’t a single one of us who has a job — we are surviving on our granny’s old-age grant,” resident Thulisiwe Dlamini said. Shange, an unemployed youth, told Radebe that crime was a big problem in the area. “We are scared to walk on the street as drug addicts are robbing and stabbing people — even at home it’s not safe at all as criminals break into houses and steal the little that people have,” she said. Ward councillor Godman Dlamini, who has been compiling unemployment statistics in the area since 2016, said unemployment has reached a crisis level in Tamboville. “Even those who have qualifications are struggling to find work and as a result levels of poverty are very high in this area,” he said. The ANC, which controls all municipalities within the Moses Mabhida region, is facing stiff competition from the DA and IFP on May 8. The two opposition parties in the province are seeking to capitalise on the ANC’s internal divisions that have resulted in some ruling party members in the region not participating in the its elections campaign. According to recent surveys, the ANC, which received 62% of support in KZN during the 2014 elections, would shed support in the May 8 elections.